Robynne, at camp known as Mapes, has been part of the Cairn community since her first year as the assistant administrator in 2012. Since then she has been a counsellor, an Adventure Programmer, Glen Mhor’s Program Coordinator, and the Outdoor Centre Director. 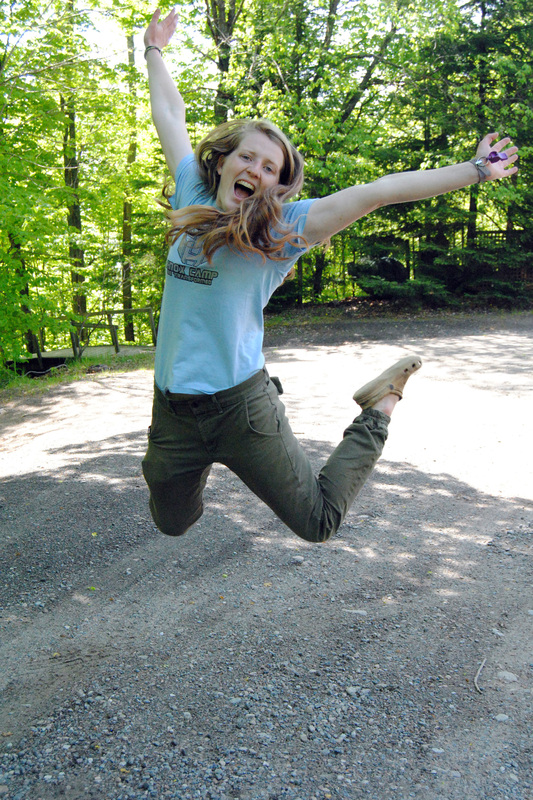 Robynne has also spent two fall seasons and one winter season working at YMCA Camp Wanakita’s outdoor centre. Robynne is a graduate of McGill University with a double major in Psychology and International Development Studies. An extensive history in summer camping and love of working in child development led her to pursue her passion for outdoor education and camping after graduation. When she's not at camp, Robynne enjoys playing board games, going for walks with her family dog, cooking and baking, singing, and playing the guitar. She loves learning about the way human minds work. Camp has the ability to provide a transformative experience to each individual camper that comes to our site. Mapes’ wish for the campers of 2018 is to see the potential of camp’s impact realized by each person that comes through our program. Her hope is that they can leave camp at the end of the week knowing more about themselves, the world, God, and living in community with others. Bridget “Minky” Tilly has worked at Cairn behind the scenes since 2007. She is often the first person you’ll talk to when you call. Bridget handles all registrations, can answer any questions or concerns you might have, and also deals with the finance for camp. She’s the “local” person with the contacts, having lived in Baysville for nearly 20 years. Camp staff see her as the camp mother and she adores them. Bridget’s family has also been directly involved with Cairn from the beginning. Her son Sam (now 15) , has been the “Camp Kid” since the age of 5. Bridget’s husband Dave, keeps a watchful eye on Camp over the winter months with Lucy the wonder-dog. Dave and Lucy sometimes make a special day to showshoe into Iona to shovel snow off the yurts. Come join them sometime. Dave is also a member of Station 40, the local fire and first response team for Baysville. He brings the fire engines and firemen to the Pee Wees every July and they have a blast making the best noise possible. Although primarily office based, Bridget is proud to say she has done Cairn’s high ropes, climbed the ‘wall” and “zipped” down the zip line. She also loves taking part in the ad-hoc kickball championships with the staff and LITs. She gets a wee bit too excited and has often lost a shoe while running wildly from base-to-base. Bridget has lived in Scotland, England, the US and here in Canada. Her professional background is project management, continuing education and training and human resources. She is a graduate of the University of Glasgow and has post grad diplomas from the Institute of Personnel Management. She has been a member of her local church, Bethune, since 1999. Jon 'Little Dipper’ Fairley started camping in the late 1990s at Camp Iona (Bala), there he developed a love and passion for the outdoors. His passion for canoe tripping led him to the Outdoor Leadership program at Algonquin College. The college program introduced him to new fun and exciting outdoor pursuits, and through friendships made, brought him back to the summer camp world; working as the Iona Program Director. After a season of directing at Iona, he returned to Cairn as the Site Manager. Over the past six years, Little Dipper has worked as the Site Manager, and for Adventureworks, an outdoor leadership training and facilitation organization, building ropes courses and ziplines across the country. 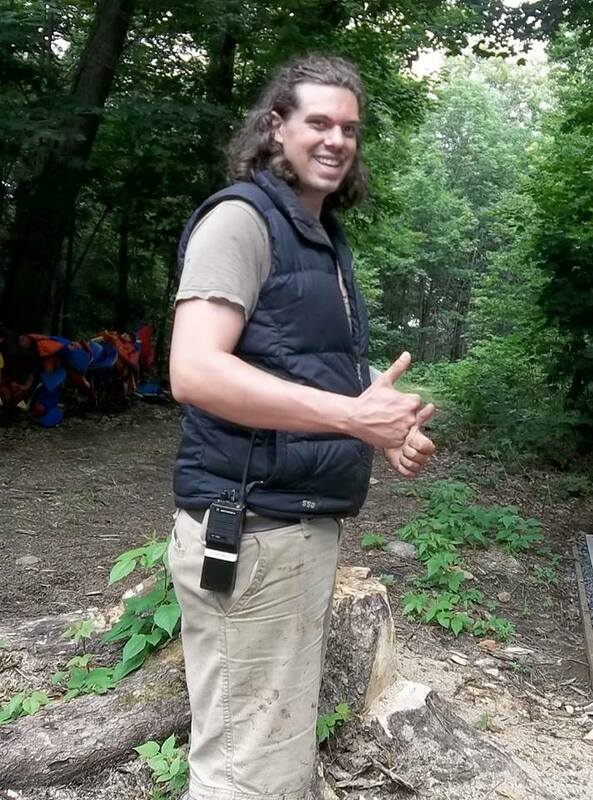 The love of camp and outdoors keeps him busy, and he is thrilled to be back at Cairn again as Site Manager.